After a successful first edition with great feedback and lots of fun, here we are with the second edition of this unique seminar for summer 2016. This 3 week, womens’ only course, is an eye opener and offers a better understanding of each role by introducing leader skills to the intermediate/advanced follower. We will cover connection, embrace, musicality, technique and basic movements of the tango language (i.e. walking, ochos, giros, navigation). ~Developing a better understanding of the Lead and Follow mechanism communication in Tango, empower your dance and making you more confident dancer. ~Knowing what you need to do in order to lead, you may also reflect on what you need to do to properly in the follower role. The workshop learning environment is only open to women so that no need to deal with male mentalities, physique, and/or untrained following. 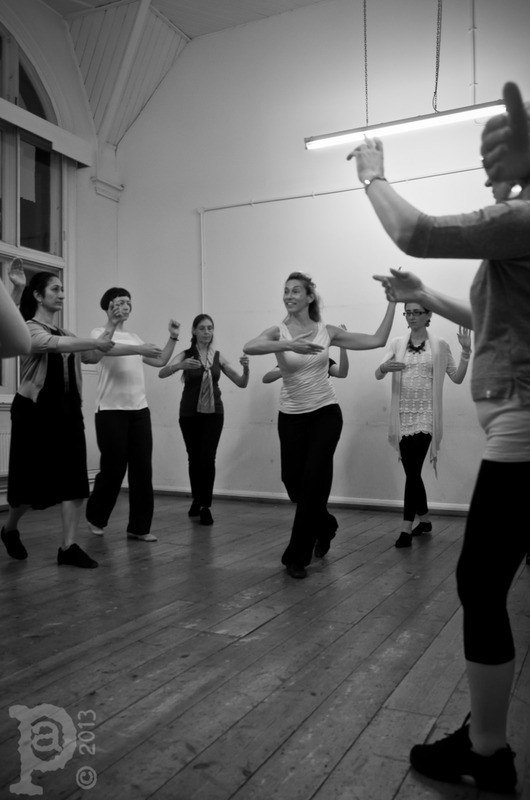 It is an all-womens’ class, not a lesbian tango class, and all sexual orientations are welcome. The workshops will include ongoing discussions regarding empowerment of the dancer, strategies to enjoying a tango event, and the expression of art and music from another view. Teacher: Raquel Greenberg – 22 years teaching experience of couple dancing (16 Tango), teaching by herself both roles in Tango for at least 8 years, dancing and teaching with top of the line different styles male tango dancers. Precise analyse of body movement and indications, as well as personal insights from own experience are guaranteed. Watch inspiring Ladies leading Videos below.